The FHG-300 comprises of a helmet fitting kit, a single ear piece, adjustable boom microphone, inline PTT button and radio connecting lead. 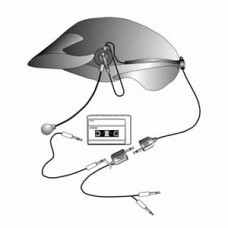 The FHG-300 also interfaces with an external audio device via a 3.5mm audio (headset) jack. Radio compatibility is enhanced via our range of ASA adaptor leads.